Prior to his appointment as Lifespan’s president and chief executive officer, Timothy Babineau, MD served as president and chief executive officer of Rhode Island Hospital and The Miriam Hospital. Before coming to Rhode Island in 2008, he was the senior vice president and chief medical officer for the University of Maryland Medical Center and School of Medicine in Baltimore, MD. Before the 2005 appointment at the University of Maryland, Dr. Babineau held numerous administrative positions, including vice chairman of the division of surgery, surgical residency program director and director of the center for minimally invasive surgery at Boston Medical Center and surgeon-in-chief and medical director for the Boston Medical Center Surgical Associates at Quincy Medical Center. He has been a trustee for the University of Massachusetts and a member of its Audit and Finance Committee. Lisa M. Abbott was appointed Lifespan's Senior Vice President, Human Resources, in 2016. She came to Lifespan from Penn State Hershey Medical Center, where she was associate vice president for health affairs for HR and chief human resources officer. She holds a master's degree in business administration from Binghamton University and a bachelor of arts degree in biology from the State University of New York at Cortland. 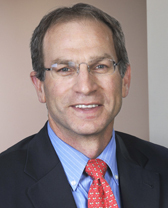 Paul Adler is Senior Vice President, General Counsel, and Secretary of Lifespan Corporation. Prior to his current appointment in June 2016, he served as Deputy General Counsel for Lifespan from 2002-2016 and as Associate General Counsel for Lifespan from 1995-2002. Before joining Lifespan, Mr. Adler was an attorney with Licht & Semonoff in Providence, Rhode Island from 1988-1995. Mr. Adler holds a law degree from Boston University School of Law in 1988 and earned a bachelor’s degree from Duke University in 1985. 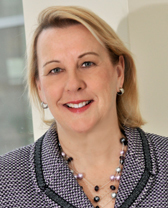 Cathy Duquette, PhD, RN, is Executive Vice President of Nursing Affairs for Lifespan Corporation. 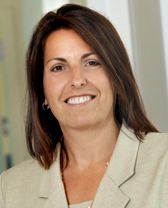 She was previously Senior Vice President and Chief Quality Officer of Rhode Island Hospital and its Hasbro Children’s Hospital and Vice President of Nursing and Patient Care Services and Chief Nursing Officer of Newport Hospital. Since 2006, Dr. Duquette has served as an appraiser for the Magnet Recognition Program. 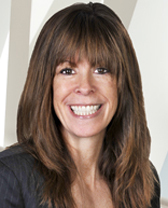 Prior to joining Lifespan in 2006, she was Senior Vice President of the Hospital Association of Rhode Island. She received her bachelor and master of science degrees in nursing from the University of Rhode Island and a PhD in nursing from the University of Massachusetts. She is a Certified Professional in Healthcare Quality; is board certified as a Nursing Executive, Advanced through the American Nurses Credentialing Center; and is a certified Six Sigma Black Belt. She is an active member and fellow of the National Association for Healthcare Quality. 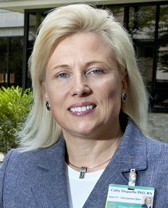 Crista F. Durand was appointed President of Newport Hospital in 2014. She was previously vice president of strategic planning, marketing, and business development at Lawrence and Memorial Hospital in New London, Connecticut. She holds a bachelor's degree in financial management from Salve Regina University in Newport, Rhode Island and a master's in business administration from Nichols College in Dudley, Massachusetts. She is a member of the American College of Healthcare Executives. Steven Lampert, MD, MBA, is a cardiologist who joined Lifespan Physician Group in 2016. He came to Lifespan from his position as senior vice president and regional medical director of Atrius Health in Newton, Massachusetts, where he was responsible for a regional business unit of more than 1,000 employees. Dr. Lampert earned his medical degree from the University of Vermont in Burlington, and he completed a clinical and reserch fellowship in cardiology at Brigham and Women's Hospital and Harvard School of Public Health. He also holds a master's degree in business administration from the Boston University Graduate School of Management. 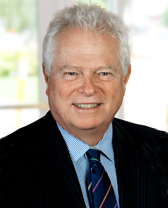 He has many years of experience in hospital relations, medical management, and cardiology. In additional to his work as president of Lifespan Physician Group, Dr. Lampert is a clinical assistant professor of medicine at The Warren Alpert Medical School of Brown University. John B. Murphy, MD is Executive Vice President of Physician Affairs of Lifespan Corporation and a professor of medicine and family medicine at Brown University's Alpert Medical School. He previously was Chief Medical Officer for RIH (2008-2012), director of graduate medical education (2004-2008) for Lifespan, and director of the geriatrics division of the Alpert Medical School. He has been president-elect, president, and chairman of the board of the American Geriatrics Society. Dr. Murphy is board certified in family medicine and geriatrics and was elected to Alpha Omega Alpha, the national honors society for medicine. He has lectured nationally and internationally and has testified before the U.S. Senate Special Committee on Aging. His bachelor’s degree is from Union College and his medical degree is from SUNY Downstate. He also holds an Ad Eundem from Brown University. 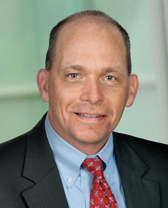 Cedric Priebe, MD, is Senior Vice President and Chief Information Officer of Lifespan Corporation. 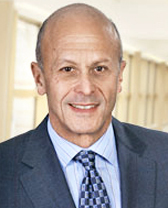 He was the CIO at Brigham and Women’s Hospital, Brigham and Women’s Faulkner Hospital, and the Brigham and Women’s Physician Organization (2014-2015), where he was responsible for the implementation of the Epic system; and he held Chief Medical Information Officer and CIO roles at the Care New England Health System (2004-2014) prior to joining Lifespan. He also held leadership positions with IDX Systems Corporation (1996-2001), Allscripts Healthcare Solutions, and McKesson Health Solutions. He is a 1984 graduate of Harvard College and a 1988 graduate of Harvard Medical School. Dr. Priebe is a pediatrician and has supervised and taught pediatric residents and medical students as clinical faculty at Harvard Medical School and The Warren Alpert Medical School of Brown University. 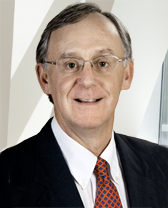 Arthur J. Sampson is President of The Miriam Hospital and was previously President and Chief Executive Officer of Newport Hospital for 15 years. He served in various senior executive positions at Charlton Memorial Hospital (1975 – 1985). Mr. Sampson holds a master’s degree in health care administration from the George Washington University and served administrative residencies at The Johns Hopkins Hospital in Baltimore and Union-Truesdale Hospital (now Charlton Memorial Hospital) in Fall River, Massachusetts. He currently is chairman of the board of Starbirth of Rhode Island and a member of the board of StarKids Scholarship Program. Mr. Sampson is a fellow of the American College of Healthcare Executives. 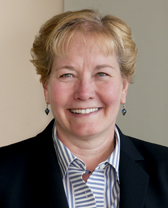 Margaret M. Van Bree, MHA, DrPH is president of Rhode Island Hospital and its pediatric division, Hasbro Children’s Hospital. Dr. Van Bree also has responsibility for psychiatry and behavioral health services, including Bradley Hospital, the state’s only child psychiatric hospital, and Gateway Healthcare, a community mental health organization. 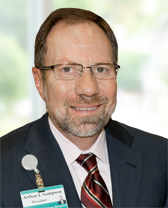 Prior to joining Rhode Island Hospital in January 2015, Dr. Van Bree was senior vice president and chief executive officer for St. Luke’s Medical Center in Houston, Texas. She has also been chief operating officer at the University of Wisconsin Hospital and Clinics, the University of Virginia Health System, the University of Minnesota Medical Center and the University of Minnesota Masonic Children’s Hospital. She is a fellow of the American College of Healthcare Executives, a member of the Standards Committee of the Commission on the Accreditation of Healthcare Management Education, and on the boards of Bryant University, Providence Chamber of Commerce, the University of Minnesota MHA Alumni Association/Foundation, and Crossroads Rhode Island. She earned a doctor of public health in health systems management from Tulane University, a masters in health care administration from the University of Minnesota, and a bachelor of science in community health education from the University of Wisconsin-La Crosse. 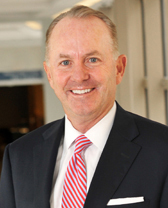 Daniel Wall is President of Emma Pendleton Bradley Hospital and interim president of Gateway Healthcare. Prior to his current appointment in 1993, he was Chief Operating Officer and Chief Financial Officer at Bradley Hospital. He was previously Vice President of Finance at the Hospital Association of Rhode Island and held various financial positions in health care settings at The Miriam Hospital, the Hospital Association of Rhode Island, and Blue Cross. He received his bachelor’s degree from Providence College. Mary Wakefield is Executive Vice President and Chief Financial Officer of Lifespan Corporation. Prior to her current position, she was Lifespan's Vice President of Finance and Chief Financial Officer. Before joining Lifespan, she was with KPMG LLP in its Boston office as an audit partner, specializing in health care clients during the last five years of her tenure. She received her bachelor’s degree from Michigan State University and is a certified public accountant.